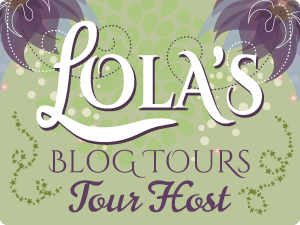 Today is my stop during the blog tour for The Blue Phoenix Series by Lisa Shallow. The entire BLUE PHOENIX series is on SALE for this week only! Summer Sky is FREE, and the other books are all .99¢ each! These are available exclusively through Kindle Unlimited. And there’s a tour wide giveaway. I feature Unplugged and a playlist for the book. Cerys Edwards once had pictures of Liam Oliver covering her bedroom wall. Her best friend’s big brother never gave her the time of day when they were growing up. When she was fifteen, he left town leaving Cerys with her fantasies. Now he’s back. The problem is, she has a daughter and a broken relationship of her own. In the world of his Christmas past, Cerys and Liam reconnect. Are they two hurt people looking for comfort in a time of heartbreak or does Cerys have a place in Liam’s future too? Months later and unplugged from his Blue Phoenix lifestyle, Liam reconnects with Cerys. He discovers Cerys’s world is full of complications he never expected – including Ella’s father who isn’t happy about being replaced by a rock star. Unplugged is more than a rock star romance. Liam isn’t dark and brooding like Dylan, or a bad boy like Jem but a fiercely loyal man with a big heart. This is a story of love, family and unexpected bonds made that can’t be broken. This is book three of the Blue Phoenix series. It can be read as a standalone but has minor spoilers for books one and two. 1. Liam’s bassist hero and inspiration is Flea from Red Hot Chili Peppers and I think this song sums up how he feels when he’s in California watching his life fall apart and all he wants is to see Cerys again. 2. Cerys isn’t the only girl who steals Liam’s heart in this book. He builds a snowman with Cerys’s daughter, Ella, although he’s not keen on the song. “I like you,” says Ella as she watches Liam place the head on the snowman’s body. “Why, thank you, little lady,” he says in a false American drawl. 4. This is also the first book where Ruby Riot feature, as Liam takes Cerys on a date to one of their local gigs. Ruby makes quite an entrance. 5. Cerys is a long-time friend of Liam’s sister and four years younger than him. When she hung out with his siter, Louise, they used to listen to Blue Phoenix rehearse. Cerys burrows further into me, pressing her face harder against my chest as if burrowing further into my heart and soul. She doesn’t need to. She’s there, always.